Born and raised in the Daytona Beach/Ormond Beach area, Dr. Hazen is a second-generation dentist. His father, Dr. Conrad Hazen, practiced dentistry from 1961 to 1998. 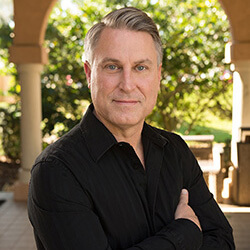 Dr. Hazen graduated with honors from the University of Florida, College of Dentistry in 1991 with his D.M.D. degree, and has been practicing in Ormond Beach since, focusing on restorative and cosmetic dentistry. Dr. Hazen's staff is his second family and they work together, to ensure every patient feels the warmth, care and trust that they share. One of his greatest joys in practicing dentistry comes from the lifelong relationships he has built with his patients, who usually refer to him as their "friend" rather than their "dentist". His witty sense of humor and "bed side music trivia" are traits that transform his operatories into an enjoyable experience that causes patients to leave genuinely smiling, the smiles he's helped to restore! Dr. Hazen is an accomplished guitar player with a passion for music. In addition to being a member of Omicron Kappa Upsilon dental honor fraternity, he has received the Quintessence Award for achievement in Restorative Dentistry, the Academy of Operative Dentistry Award of Outstanding Achievement in Operative Dentistry and the Academy of Dental Materials Award of Excellence, to name a few. Dr. Hazen uses the most advanced tools paired with the latest techniques in dentistry, to provide each patient with the highest quality of oral health care possible. Some of the treatment options at Hazen Dentistry include: crowns, bridges, implant dentistry, veneers, dentures, Zoom whitening and fillings. He works consistently on continuing his education, on the belief that good dental health is a vital part of overall wellness. Curriculum Vitae: Brian W. Hazen, D.M.D. Tabatha has been in the dental industry for over 8 years. She is highly skilled in both office administration and being a certified dental assistant. She is also the office teeth whitening expert with a passion to help people look their best. Starting any dental treatment can be a little overwhelming, so she is here to take care of all of the details. Her job is to help remove any obstacles for patients and their future smile. She wants patients to feel comfortable and at home here. Tabatha is an Ormond Beach native and graduated from Seabreeze High School. Following high school and the United States Navy, she earned her dental assistant certificate and began working with Dr. Hazen. When Tabatha is not busy with the front and back office duties, she enjoys spending time with her family and friends. She is especially proud of her only child, Joshua, beginning college this year! Tabatha has a welcoming character and a true commitment to dentistry. 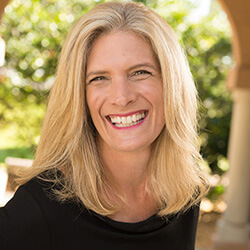 Kimberlee graduated with honors in 1989 with an Associate's Degree in Dental Hygiene from Tallahassee Community College. She was chosen by the faculty to receive the Clinician Award upon graduation. This award is given to the student who embodies all aspects of dental hygiene including, but not limited to; technical skill, knowledge and patient services. 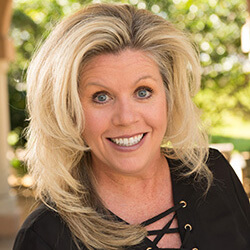 Kimberlee has spent the last 28 years solidifying her commitment to those ideals and fortunately for us, 23 years of those have been as a solid member of Dr. Hazen's team. 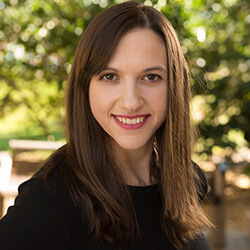 Dana joined our team in February 2016. She has been a hygienist since 1989. Dana enjoys working with our team and loves our patients. She says that it is very rewarding to see the oral health of her patients improve and she looks forward to seeing them when they come in for appointments. As a Native Floridian, Dana enjoys walking and collecting shells on the beach. She enjoys spending time with family, especially her Jack Russell, Reagan. Kelley graduated March 2012 from Dental Assisting School in Frankfort, Kentucky. In September 2013, she joined Dr. Hazen's team as a dental assistant. 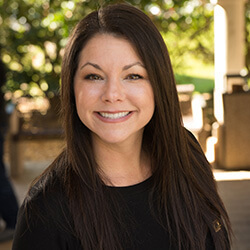 Kelley is passionate and dedicated to our patient's needs. She enjoys talking with patients, hearing about their lives and sharing in their adventures. She is Dr. Hazen's main dental assistant and can help the patients understand and feel comfortable with recommended treatment. Kelley's second love, when she is not working, is spending time with her dog, Jack, and horse, Jetta. She attended Upstate New York for Equine Science and Horse Racing Management. She also works out, hikes and spends time with her parents.